Moon Express also announced “The Moon is ME” Lunar Mining Design Competition as a global challenge to design lunar mining tools that the MERLIN rovers can utilize to acquire and transport lunar samples containing valuable metals and minerals. The competition is global and open to students as well as professional designers using Autodesk software. The top designs will be prototyped and demonstrated in a field test competition at Moon Express facilities at the NASA Research Park in Silicon Valley. The winning prize design will be funded by the company for potential test and demonstration on the Moon. In essence, Moon Express is going to crowd source these valuable tools instead of hiring people to internally design them. Video Caption: In this prequel to the Moon Express Lander Development webisodes, company co-founder & CEO Bob Richards narrates an overview of his Phoenix Mars Lander experience and the very different challenges of landing on the Moon. 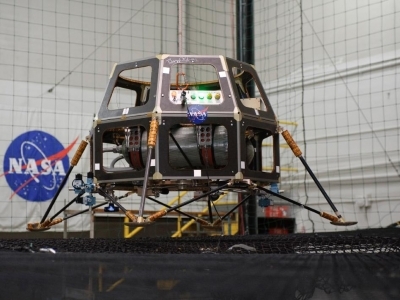 The company is executing a technical strategy of developing and testing new landing technologies utilizing a rapid-prototyping Lander Test Vehicle platform in the adaptation of NASA’s Common Spacecraft Bus to a lunar lander. For the first time, Bob gives a public peak inside the project and the Hover Test Facility located a the NASA Research Park in Silicon Valley, California. Video Caption: We have an incredibly hard working team at Moon Express who pulled us through some tough challenges over the last few months. There were many days that just didn’t end… but it all paid off with a number of successful technical milestones, including the delivery of our Mini-Radar data package to NASA and our first free flight of the Lander Test Vehicle, sporting new hardware and software developed by our Moon Express engineers in collaboration with NASA. To celebrate, we flew the whole company up to Seattle on August 5th, 2011, to enjoy the amazing ‘SeaFair’ boat and air show aboard our chairman’s yacht (thank you Naveen & Anu!). With hydroplanes racing around us and Blue Angels screaming by unnervingly close, the team was able to let off some steam and have some fun together. We have amazing people at Moon Express, all exceptionally talented and motivated individuals with interesting backgrounds… which we will tell you about in future webisodes of the Moon Express story. 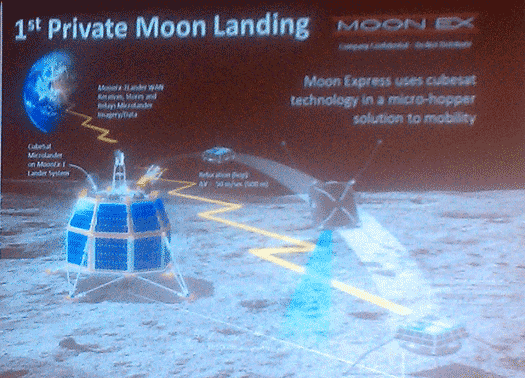 MOUNTAIN VIEW, Calif., Aug. 24, 2011 /PRNewswire/ — Moon Express, a Google Lunar X PRIZE contender, announced today that it has successfully demonstrated a critical component of its lunar landing technology to NASA under its Innovative Lunar Demonstration Data (ILDD) Program contract. The Moon Express Mini-Radar System promises to radically reduce the cost and mass of the company’s commercial lunar landing system. NASA has reviewed and accepted the Moon Express Mini-Radar data package, satisfying the requirements of the $500K First Task Order under the company’s $10M commercial lunar data contract. Moon Express Co-founder Barney Pell describes his company’s plans to launch commercial lunar services. Moon Express Co-Founder Bob Richards explains his company’s plan to win the Google Lunar X Prize and create a commercial business sending payloads to the moon. 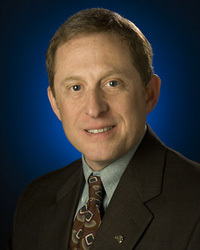 Mountain View, CA (July 20, 2011) – Moon Express, a Google Lunar X PRIZE contender, revealed today that internationally recognized planetary scientist Dr. Alan Stern will be the Chief Scientist and Mission Architect for the company. The announcement was made as lunar scientists from around the world gather at the NASA Ames Research Park for their annual Lunar Science Forum, convened by the NASA Lunar Science Institute. Dr. Stern is the former NASA Associate Administrator for Science and is an outspoken advocate for commercial space who believes in the power of private enterprise to complement government efforts. While at NASA he presided over $4.5B of planetary science, astrophysics, heliophysics, and Earth science missions while, also serving as the Principle Investigator of the agency’s New Horizon’s mission to Pluto. Bob Richards’ Moon Express has some cool plans for exploring our closest celestial neighbor, ones that more resemble Mexican jumping beans than the traditional approaches. Silicon Valley, CA (June 30, 2011) – Moon Express, Inc. today announced a successful flight test of a prototype lunar lander system being developed in partnership with NASA. 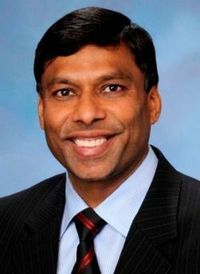 MOUNTAIN VIEW, Calif., June 28, 2011 /PRNewswire/ — Singularity University’s founders, Ray Kurzweil and Dr. Peter H. Diamandis are pleased to announce Naveen Jain, Founder/CEO of Intelius and Founder/Chairman of Moon Express, to their Board of Trustees. He was selected for his firm belief that there are no global problems that cannot be solved through creative thinking and disruptive technology. 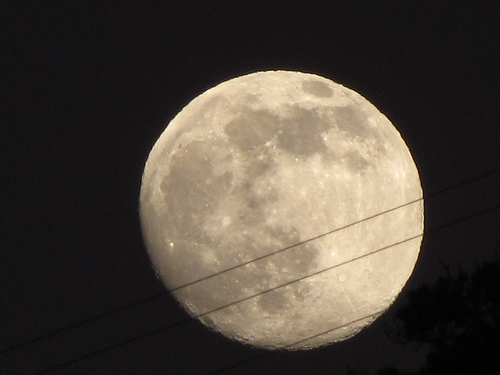 NASA has issued delivery orders to three companies as part of its Innovative Lunar Demonstrations Data (ILDD) project. Each order is worth $500,000 and will help develop vehicle capabilities and demonstrate end-to-end robotic lunar landing missions. — Dynetics Inc., Huntsville, Ala.
— Moon Express Inc., San Francisco .